Unfortunately, far too many people have had to watch a loved one fall into the grips of an alcohol or drug addiction, and one of the most difficult aspects is figuring how or when to get them help. There are a few signs to indicate when a loved one needs inpatient rehab. 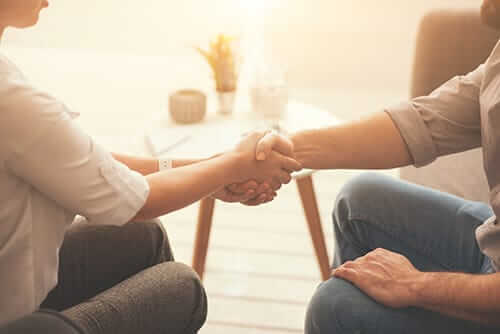 Even after deciding the time is right to do what it takes to help someone get sober, it can often be confusing as to which type of rehab is necessary, as there is a wide array of treatment options. Plus, which course to take is typically dependent on the unique needs of the individual. While the best way to start finding out which treatment may be best for your loved one is to pick up the phone and consult a professional, sometimes an addict’s behavior can give you a good indication that a person needs to take the step to enter an inpatient rehab center. Here are three signs an addict may need to be admitted to rehab. If you think your loved one needs inpatient rehab, pay attention to their sleeping patterns. While having trouble sleeping can be a common problem among anyone, not just addicts, studies have found that sleep disorders are prevalent among substance abusers. Signs of sleep disorders can become apparent in an addict’s behavior and appearance. Sometimes they start arriving late to work or miss other important functions. Many addicts use substances alongside their drug of choice to combat their sleep disorder, and this combination of substances can be a dangerous and even deadly mix. Additionally, this practice often further compounds the problem because it involves the development of new dependencies to get needed sleep and remain minimally functional. 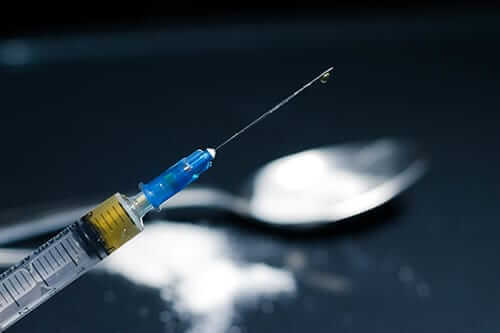 As an example, addicts who use stimulants — drugs like cocaine or speed — to stay awake during the day will often turn to depressants at night, such as alcohol or sleep medications, to help them sleep. Signs of sleep disorders can become apparent in an addict’s behavior and appearance. Sometimes they start arriving late to work or miss other important functions. The addict suffering from poor sleep will often seem disheveled, tired or sluggish, and you may notice them sleeping during irregular parts of the day. Often, these signs become more prevalent over time, as the addict’s body continues to struggle with the stress of substance abuse and little sleep. For loved ones, the emotional rollercoaster of an addict can be quite confusing, as there are often periods where the substance abuser seems functional and even normal, and other times where addiction seems to be taking its toll. Most drugs flood the brain with dopamine, creating a “high,” which is an intense sense of pleasure for the user while the effect of the drug remains strong. Studies show that when the high wears off, addicts are more susceptible to feelings of sadness, depression, anxiety, anger or other negative emotions. Unfortunately, the highs during these mood swings can make it seem like the addict is getting better, which leads many people to stop seeking information about inpatient rehab, when in reality, these “highs” are a major sign that a loved one needs to seek help. Drug and alcohol abuse can have a variety of negative effects on the human body. While many of the damage of these substances occurs under the skin, such as heart and liver damage, many addicts also show the scars of their abuse in their physical appearance. The outward signs apparent in the addict’s appearance often include weight loss due to lack of eating, poor dental hygiene, gum disease, bags under the eyes, and skin blemishes. Furthermore, because alcohol and drug use weakens the immune system, many who are struggling with addiction will also find themselves battling minor ailments, such as cold or flu, for many months. If you notice these changes in someone you know, it may be that your loved one needs inpatient rehab. Do you think your loved one needs inpatient rehab? Morningside Recovery offers a wide variety of experiential and traditional addiction therapy programs designed to help people get free from the grips of an alcohol or drug addiction. For more information about inpatient rehab, please call our 24/7 helpline at 855-631-2135. Morningside specialists will work with you to help find the treatment option that works for you.